Included software Gmail, Hotmail, Yahoo! 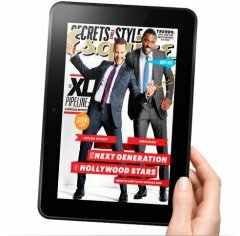 The Kindle Fire HD is an eBook reader with tablet-like functionality that runs on a modified version of Android. It has an HD camera and a 8.9-inch anti-glare display, but Amazon provides very few specs and details. Also called Kindle HD 8.9. New Amazon tablet computers View all the new and upcoming Amazon tablet computers.